Access to the new arrivals and departures atrium is through screening. Everyone is welcome to come through security screening; so regardless if you are flying, meeting arriving passengers or even if you are not flying and want to visit EVERYONE can go through security and enjoy the new atrium space, waiting area and amenities. Qantas/Qantaslink, Virgin Australia and Airnorth currently operate scheduled jet services to and from Karratha. These services link Karratha directly to Perth, Brisbane, Melbourne, Sydney, Port Hedland, Broome and Darwin. Direct services to Port Hedland, Broome, and Darwin with interstate and overseas connections. The Bar @ Karratha offers a dedicated space for passengers away from the main seating atrium area of the terminal as an escape from the airport bustle. Offering a wide range of tap and bottled beers, ready to drink packaged spirits, along with a wide range of hot snacks, burgers and meals. The Bar will be a popular place to catch up with friends before your flight. LINK is a dynamic store meeting the needs of busy travellers. Inside, you can pick up the latest newspapers, grab the latest book release, and choose from a large selection of magazines, books, stationary and confectionery. Make sure LINK is the store you visit for all your travel needs. Tech2GO this section of the LINK store offers all your tech-accessory needs, with a great range of headphones, cases, chargers & all the latest nifty gizmos & gadgets. 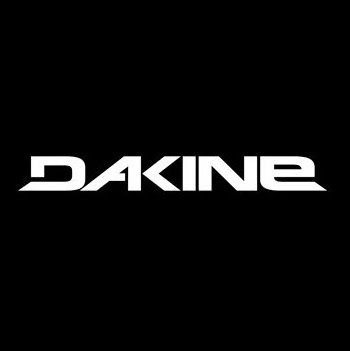 Dakine American outdoor sportswear clothing is offered in the link store including sunglasses and apparel. Eagle Boys Express is a quick service café style offer, providing a range of hot food options for customers across all parts of the day, including full cooked breakfasts, freshly baked pizzas, chicken snacks and steak sandwiches. Every meal option is cooked in under 3 minutes, providing a fast pace for customers on the go. Grill select from a wide range of hot snacks, burgers and meals to enjoy with your choice of coffee or beverage. Espresso is about the love of coffee and our customers feel this is the heart and soul of everything we do. We take pride in making your coffee just right, every time. We also believe great coffee deserves great food - from gourmet delights to classic favourites, there's something in our range for everyone. Dine in or take away, the Cafe is up early and stays open into the evening to get you flying any time of the day. There are two ATMs located at the Karratha Airport; one past the screening point in the departures area and the other near baggage claim, for your convenience. Please note the City of Karratha's policy for use of the Play Area at Karratha Airport is that the total supervision of children is the responsibility of a parent or carer. For safety and hygiene reasons, a no socks, no play rule is enforced for all children and adults. Enter at own risk, you are responsible for your own personal property and wellbeing. Have fun! That's what the playground is all about. One child per equipment piece at any one time. Slides to be used feet first only, hands on knees. One person at a time exiting all play events. No running, pushing or shoving. No shoes. Socks must be worn in the play area. No food or drink within the play area. No climbing on the outside of the play structures. Play safely and be courteous to others. Suitable for ages 3 to 10 years old. If you have any problems with this playground please contact the operator immediately. Passengers can enjoy access to vending machines in all areas of the terminal.